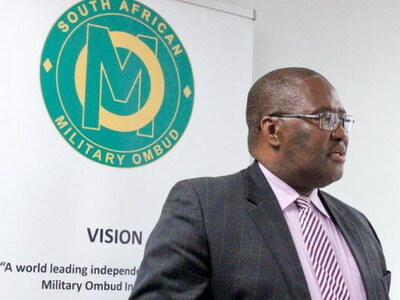 South African Military Ombud, retired General Temba Matanzima, hosted the annual Military Ombud Symposium on Wednesday, which marked six years of the office. Established in 2012, the Office of the Military Ombud is entrusted with the responsibility of investigating complaints lodged in writing by current and former members of the South African National Defence Force (SANDF) who are not satisfied with their conditions of service. The Office also investigates complaints reported by members of the public concerning the official conduct of members of the SANDF. Matanzima said since his office was established, it has seen many transgressions and complaints over promotions, terminations of service, lack of career management and transfers, amongst others. However, he said the number of transgressions has been reduced over the years. “The last six years in office have been hectic but rewarding in a sense that I was able to work with my investigators and submit findings and recommendations of the complaints to the Minster of Defence which were accepted without hassle,” he said. Speaking before the Portfolio Committee on Defence and Military Veterans earlier this month, Matanzima said that in the 2017/18 financial year, the Office dealt with 799 cases of which 664 were finalised. According to the Department of Defence’s 2018/19 Annual Performance Plan, in 2015/16 365 out of 483 active complaints were assessed and finalised and 118 carried over to the next financial year. This means that 76% of complains were finalised that year. Only 55% were finalised in the 2016/17 financial year, according to the Annual Performance Plan. The target is to have at least 70% finalised a year. An amount of R56 458 000 has been allocated to the Military Ombud for the 2018 Medium Term Expenditure Framework. South Africa will be hosting the “10th International Conference of the Ombuds Institutions of the Armed Forces” from 28 to 31 October 2018.